Safety Relief Valve 3000-7000 PSI - August Industries Inc.
A robust relief valve for high pressure applications. 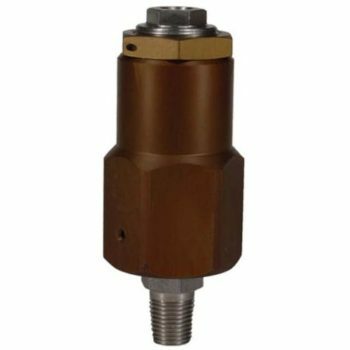 Similar to our VAL-5000 but designed for higher pressures, this valve is adjustable to vent at pressures from 3,000 to 7,000 PSI. This relief valve is ideally suited for applications which vent often, such as engine driven compressors without automatic shut-off.